The Curator’s Tour will offer insights and behind-the-scenes information not normally accessible to the public. Come along and hear the real secrets behing this incredibly rich exhibition. 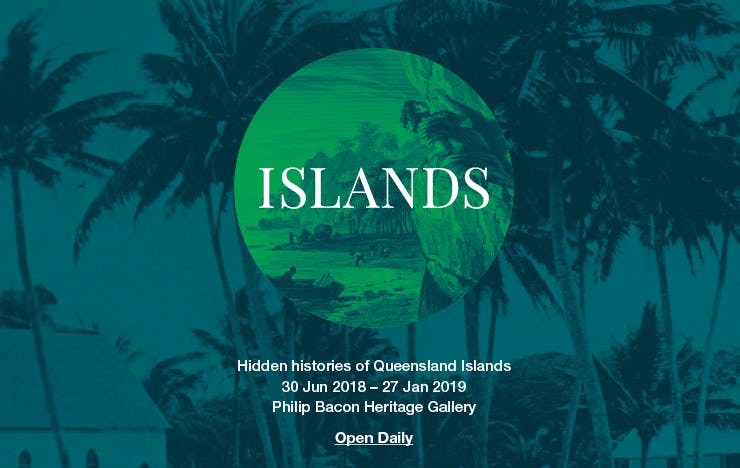 Free Curator’s Tours of ‘Islands: Hidden Histories from Queensland Islands’ occurs on the second and fourth Wednesday of every month, for the duration of the exhibition. See separate Eventbrite listings to book into other sessions.